Pregnancy in the first trimester can leave us pretty sick and tired... literally! Then, as the pregnancy continues and the baby gets bigger, you may have cravings for unhealthy foods, along with sleepless nights. In the third trimester, you may feel like sitting on the couch all day. 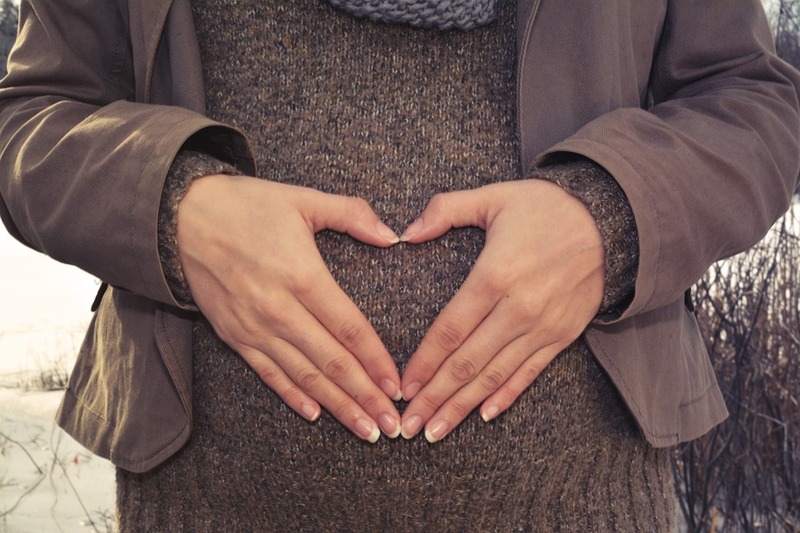 Setting up habits to promote a healthy pregnancy may be hard at times, but you can do it! Here are some tips. Drink plenty of water. This may be one tip you didn't expect, but it is very important for the duration of your pregnancy. Pregnant women are at a higher risk of dehydrating, and need more water than usual. Make sure to drink lots of water or clear fluids, especially while you are suffering from morning sickness. Stay away from caffeine as much as possible. Enjoy lots of fresh air and, if possible, sunshine. Fresh air makes you feel more energetic, and taking a walk outside every day definitely counts as exercise. Vitamin D is important during pregnancy, and sunshine is one of the easiest ways of getting it. Be physically active. That does not mean you have to hit the gym five times a week, but don't be a couch potato either. Whether you go swimming, do prenatal yoga, walk around the shopping mall a lot, or just take the stairs instead of the lift, being active helps you be fitter and feel better. Most prenatal exercises are totally safe, and being fit may set you up for an easier childbirth. Eat well. The occasional Taco Bell or McDonalds meal won't harm you or your baby, but you do need lots of fresh fruits and vegetables, and generally a healthy and balanced diet. And don't even ask yourself, Does pregnancy diet impact postpartum weight loss?, because it does! The weight you don't gain now won't have to be lost later on! Pregnant, Marijuana, How Long Till My System Is Clean. ?